When your subject finds himself hallucinating Kylie Minogue in the back of his Jaguar, you know you’re not watching a regular rock doc. 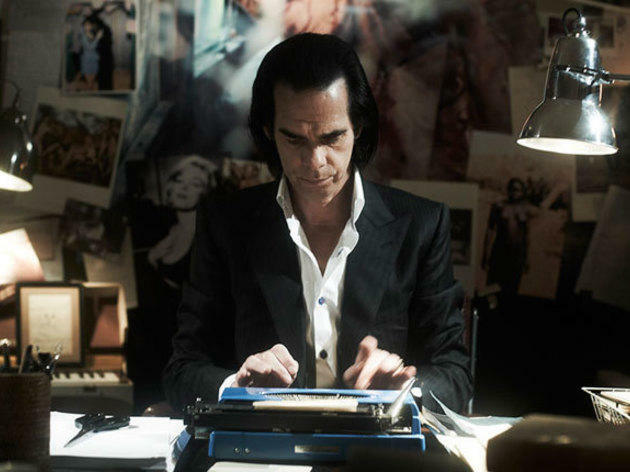 New film 20,000 Days on Earth is an unsettling but hilarious portrait of an unsettling but hilarious star: Nick Cave, who co-wrote the script with directors Iain Forsyth and Jane Pollard. 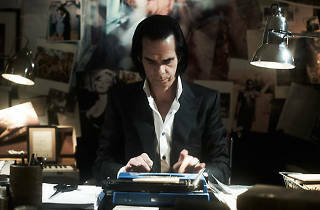 We asked the man himself to break down how the film was made. I’m friends with Iain and Jane, and a fan of their work. It always feels very comfortable to have them around. And weirdly we still remain friends—that’s not often the case with me. I had final edit. That freed me up to do anything I liked—anything they asked. I was extremely dubious about starting the film with me in bed—it felt a very vulnerable scene—but because we had this policy where things didn’t have to be used, it was okay to try it out and it seemed to work. All the scenarios are fake: the shrink’s office, the archive, the idea that I’m driving around in a Jaguar. It’s all artifice. But we thought that, within that, I would be able to relax or be protected enough to be open. They knew I wouldn’t be able to be that way if they just walked into my house with a camera. I wouldn’t have allowed it.